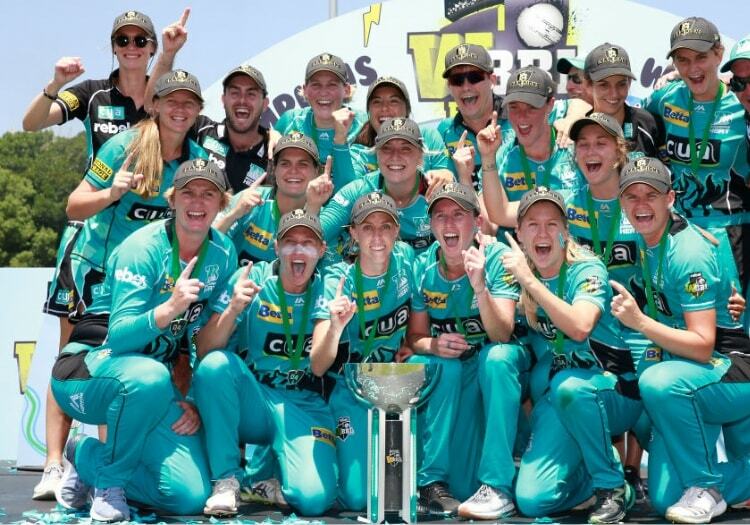 Beth Mooney inspired the Brisbane Heat to their maiden Women's Big Bash title as they beat the Sydney Sixers by three wickets on Saturday. Despite visibly suffering from an illness which almost kept her out of the game entirely, the 25-year-old scored a vital 65 off 46 as the Heat prevented the Sixers from making it three in a row. Mooney had to be attended to by the Heat doctors on several occasions as she struggled to cope with the sweltering conditions. "At one point I wasn't sure what was going to be the best result for the team. I was still hitting the ball quite nicely, I was kind of happy to keep going," she explained. "Once we got the run-rate right down to less than a run-a-ball, even though it's against the Sixers and we knew (Marizanne) Kapp was going to bowl that last over, it was a bit easier." The regular halting of play angered some of the Sixers players, who started to sledge the Brisbane opener. "The beauty of this game is once they're doing that and worrying about what we're doing, we've already beaten them," she said. "It was kind of nice to know even though I wasn't feeling well, it was enough to piss them off."